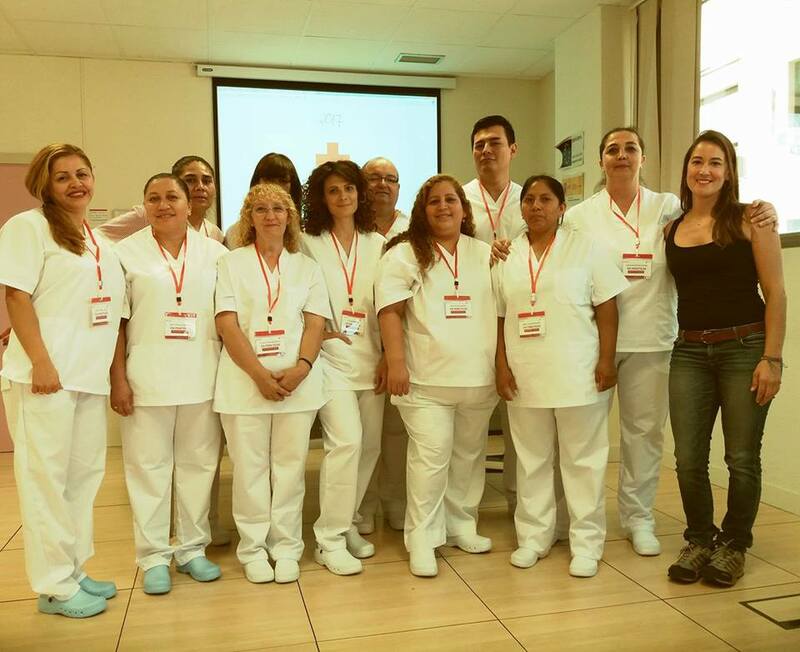 HEMOS CERRADO HOY EL CURSO “ATENCIÓN SOCIOSANITARIA A PERSONAS DEPENDIENTES EN INSTITUCIONES SOCIALES” DE CRUZ ROJA EN MADRID 2017. ESTA ES MI PEQUEÑA APORTACIÓN PARA PROMOVER UNA SOCIEDAD MÁS INCLUSIVA DONDE LAS DIFERENCIAS SEAN LO “NORMAL” Y LA ATENCIÓN A LAS PERSONAS DEPENDIENTES UN DERECHO. LAS PERSONAS CON DIVERSIDAD FUNCIONAL O DEPENDIENTES, TAMBIÉN SON CIUDADANOS DE PLENO DERECHO. QUE NO RESTAN NI SON UNA CARGA, SINO QUE SUMAN Y CONTRIBUYEN A LA SOCIEDAD. NO EXISTEN PERSONAS NORMALES PUESTO QUE NADIE ES IGUAL QUE NADIE. ENTONCES…..SI NO EXISTEN PERSONAS PERFECTAS, TAMPOCO ALGUIEN PUEDE SER IMPERFECTO. TENEMOS DERECHO PUES, A SER ÚNICOS E IRREPETIBLES. HACER UNA SOCIEDAD MÁS JUSTA, IGUALITARIA Y SOLIDARIA DEPENDE DE CADA UNO DE NOSOTROS Y SE CONSTRUYE GRACIAS A LOS PEQUEÑOS GESTOS DEL DIA A DIA.